New conveying systems and belts are key players in bakers’ and snack manufacturers’efforts to make their facilities and operations more sustainable. Sustainability continues to be a priority for bakers and snack manufacturers for a variety of issues: Federal and state regulations are requiring manufacturers to be more energy efficient and reduce waste. Consumers continue to scrutinize the ingredients in their foods and question aspects like how “processed” they are. Rising energy and supply prices are prompting companies to look for new ways cut costs. The key to addressing many of these sustainability issues, more bakers and snack producers are discovering, is investing in equipment—including in conveyors and belts—designed with efficiency in mind. Pneumatic conveying systems, for instance,are commonly used to recycle excess toppings— sugar, salt, sesame seeds, cornmeal, chopped nuts and more—from conveyor belts for refilling topping spreaders with “excellent economic return and reduced waste product,” says David Kennedy, Business Development Manager, VAC-U-MAX, Belleville, NJ. The conveying systems also can be used to transport individually wrapped products to bagging or carton-filling machines. 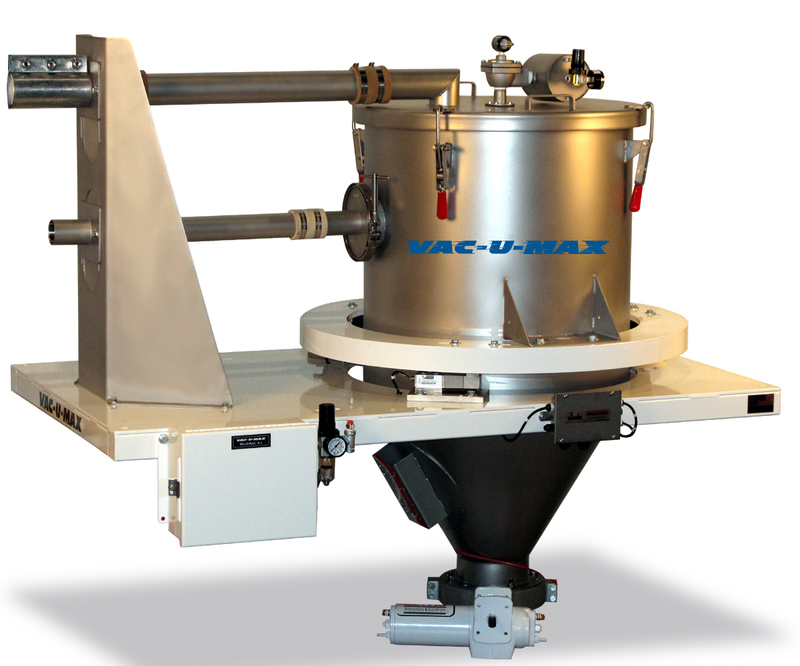 VAC-U-MAX’s pneumatic batch-weighing hopper feed systems convey major, minor, or micro ingredients, such as powders, granular food ingredients, nuts, and other bulk ingredients, that allow minimal product degradation when pneumatically conveyed. The systems can convey ingredients from drums, bags, bulk bags, intermediate bulk and flexible intermediate bulk containers, or super sacks, as well as discharge ingredients to packaging lines or other destinations. The systems offer dust-free operation, allowing for safer and cleaner plant environments. Controls let operators select batching times or desired destinations, while a tool-free design facilitates maintenance and easy batch changeover. To learn more, download PDF of article.